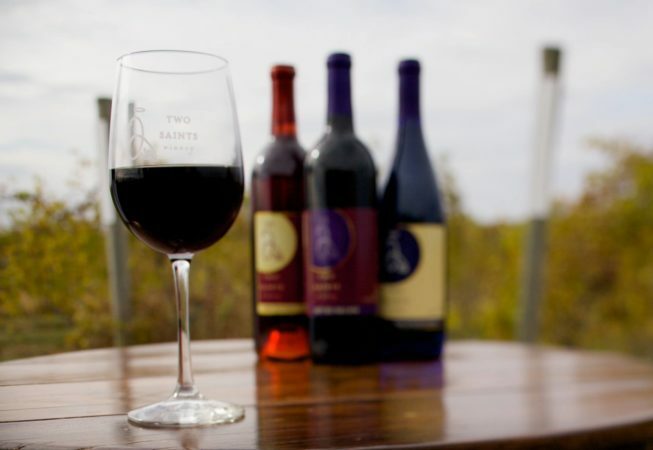 Established in 2006, Two Saints Winery offers a large tasting room and spacious wrap-around deck that overlooks their vineyard, plus a gift shop, bus parking, and scheduled tours of the processing area. The winery also offers facility rentals for private events, with seating capacity of 200+. Located two miles east of St. Charles and 19 miles from Winterset.